The Sudanese army members have announced that President Omar al-Bashir had been ousted from power amid reports of a military coup. Iran Press/Africa: Over the weekend, thousands of people participated in protests in Khartoum and across the country, calling for Bashir's resignation and urging the army to side with people. The rallies continued this week, resulting in civilian casualties due to clashes between protesters and security forces. According to Sputnik news agency, citing the Lebanese TV channel Al Mayadeen, Sudanese army members have declared that President Omar Bashir had been removed from all positions amid reports of a military coup in the African country following weeks of protests. 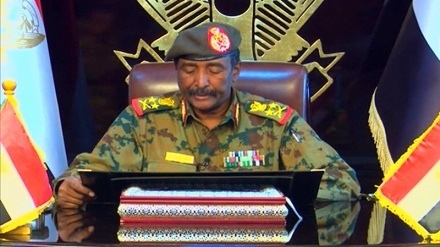 Sudanese sources are saying that the military personnel planned to announce the creation of a military council which would govern the country during a transition period that might last for up to one year. All of Omar al-Bashir’s assistance and deputies have also been allegedly sacked, but there has been no official confirmation so far. 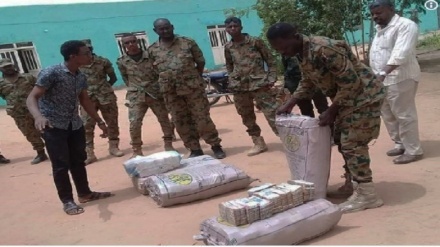 The Al Mayadeen television channel also reported the stepped-up military presence in Khartoum. 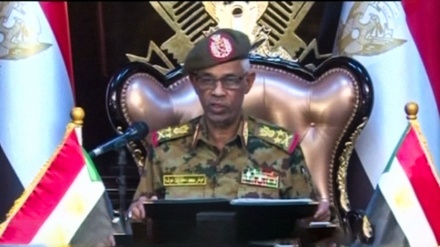 Earlier in the day, the Sudan Tribune newspaper reported that an emergency meeting of the Sudanese Armed Forces’ General Staff took place in Khartoum without Omar al-Bashir. The newspaper noted that the military personnel had entered the building of a national TV broadcaster and promised to make an important statement. Since December, protests triggered by the rise in prices of consumer goods have engulfed Sudan. Mass rallies prompted President Omar Bashir, who has been in power for 30 years, to dissolve the cabinet and declare a year-long state of national emergency. Behind-the scenes activities by United States, Saudi Arabia, the Israeli regime, and United Arab Emirates have contributed to the unpopularity and disenchantment of the Sudanese people with their government. For example, Saudi Arabia effectively twisted the arms of the Sudanese government and forced them to enter the disastrous war in Yemen. Economically this was not in Sudan's favour. The Israeli regime prime minister, Benjamin Netanyahou, in July of 2016, became the first Zionist regime leader in 30 years to tour east Africa. Netanyahu's tour took him to Kenya, Uganda, Rwanda and Ethiopia, and the main objective of his tour was to expand the Zionist regime's political and economic influence in the African continent. One of Israel's oldest foreign policy objectives is to be able to count on the votes of African countries in international bodies such as the United Nations. By attracting the votes of African countries, the Israeli regime has strengthened its hand in both the Arab-Israeli conflict and the Middle East Peace Process. In order to lessen its isolation in the Middle East and within the Arab world, the Israeli regime has used its good relations with African countries to attract their votes at the United Nations.This has been a long-standing policy of the Israeli regime for many decades.